We are going to build an incredible defence system.. Featured photo: Marcus ‘Buchecha’ Almeida on the hunt for a submission while fighting Rodolfo Vieira in the Absolute world championships final this summer.. 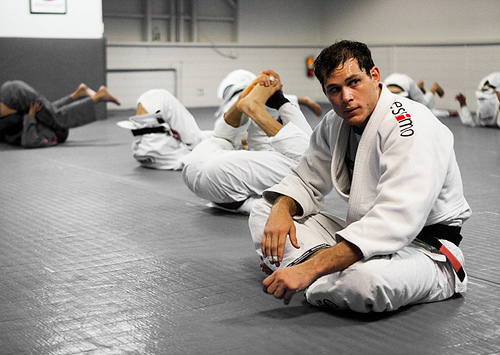 The very best Brazilian Jiu-Jitsu athletes have incredible defence. I love studying defence and escapes and would have an entire evening dedicated to the study of defence and escapes once per week, if time made it possible. What I will ensure is that we all have a rock solid defence and escape system for dealing with the most common submissions – arm bars, triangles, guillotines and the Kimura. If you have a well rehearsed plan you can execute for all the common submissions – you will have great confidence. We will all be working hard to achieve this – and will be building a lot of repetition into the defences and escapes we practice, so that we can deal with attack when put under pressure.